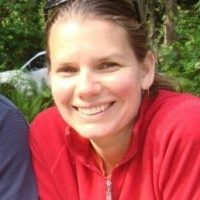 Janna Fleming (now Janna Wilson) lives in the Haida village of Skidegate in Haida Gwaii, British Columbia with her husband and their two young children. She has spent the past few years nurturing a passion for the beauty of her new surroundings: remote islands of rainforest, giant ancient cedars, windswept beaches, and vibrant culture. The landscape, wildlife and people provide endless inspiration for her creative soul and she is now working on a collection of poetry. With two small kids in tow, she now roams at a slower pace savouring their excitement and curiosity about each place they discover and can't wait to paddle, cycle and hike throughout the world with them.